Course Website: Official Website - Visit Kingsley Club's official website by clicking on the link provided. 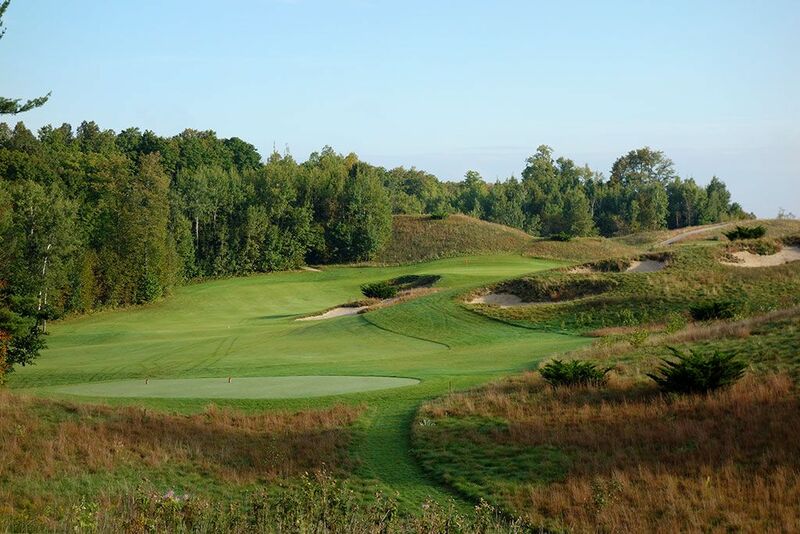 Accolades: Ranked 2nd in Michigan on Golf Course Gurus' Best in State list. 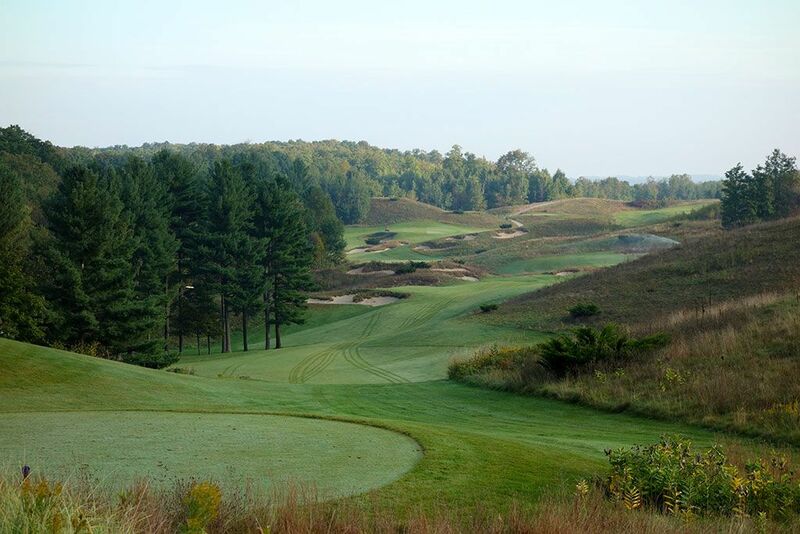 What to Expect: Kingsley Club is truly one of the hidden gems in America. Few people have heard of it and even less would recognize the course architect. 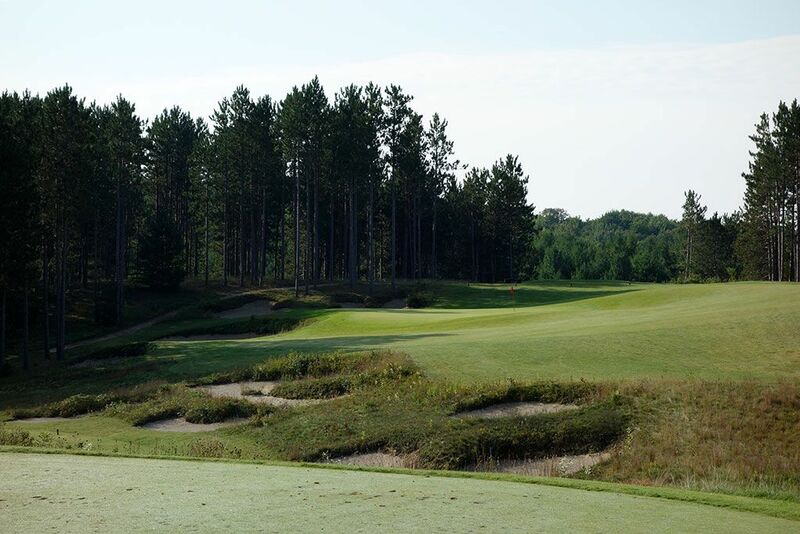 Hidden in a remote portion of northern Michigan, Kingsley Club's off-the-radar location adds to the lure and mystique of a truly exceptional layout that feels like a blend of Crystal Downs, The Course at Yale, and another remotely located course, Whispering Pines. 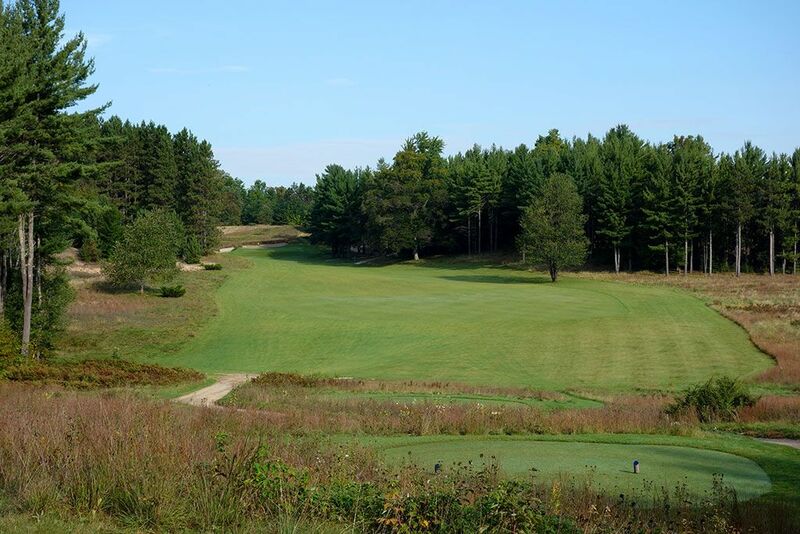 Interestingly, Kingsley and Whispering Pines have an annual match play competition called The Challenge Cup where members seek to bring the title back to their home club. 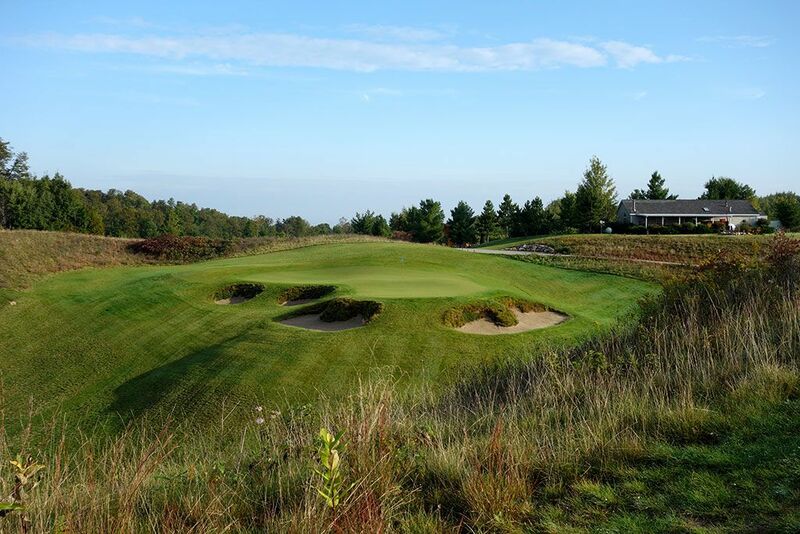 Kingsley is a minimalist design that does an exceptional job taking advantage of Mother Nature's contours and delivering a course that feels natural, rugged, and yet carefully crafted. The very modest clubhouse delivers further evidence that Kingsley is all about one thing; great golf. The course features significant elevation movement throughout the property but those hills are just as easily handled walking the course as Augusta National is. The course seeks firm and fast conditions so the turf isn't plush yet plays well in the same vain as the courses at Bandon Dunes. 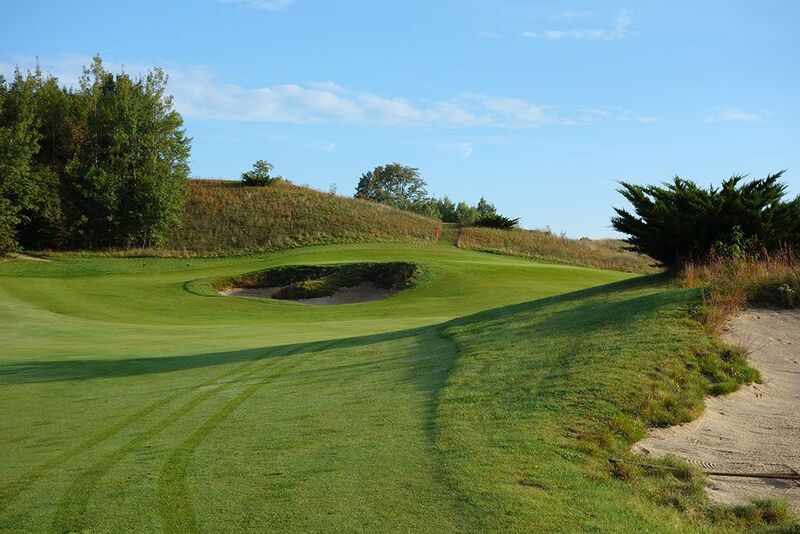 The bunkering is beautiful throughout the course and fits the natural theme of the sand dunes found on the property. Trees encompass the border of the course but are not a factor on the interior of the routing due to the links design concept. 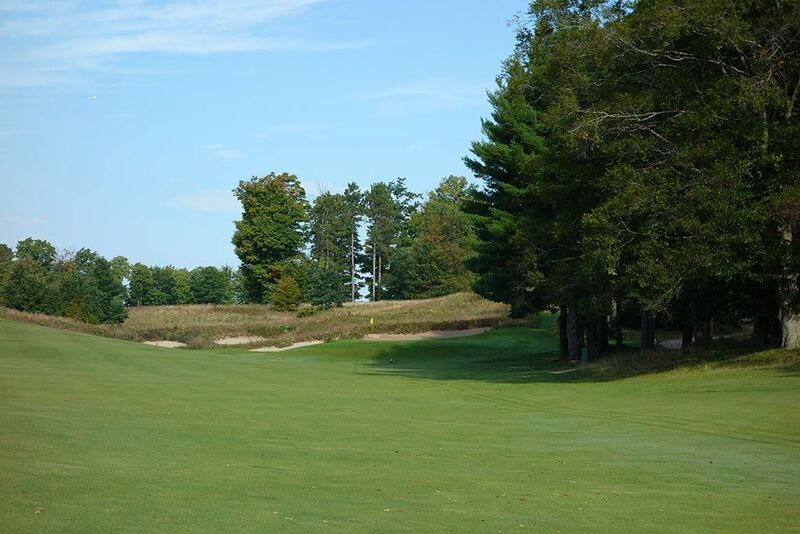 Carts are available though it is common to find players packing their clubs on their back to enjoy an exceptional walk through varied terrain and hole designs. Signature Hole: 9th Hole – 165 Yard Par 3 – The most controversial hole at Kingsley is without a doubt the par three 9th that features two separate teeing grounds. The green is set up to accept shots from one of the four tee boxes coming in from the west or one of the three tee boxes coming in from the south. 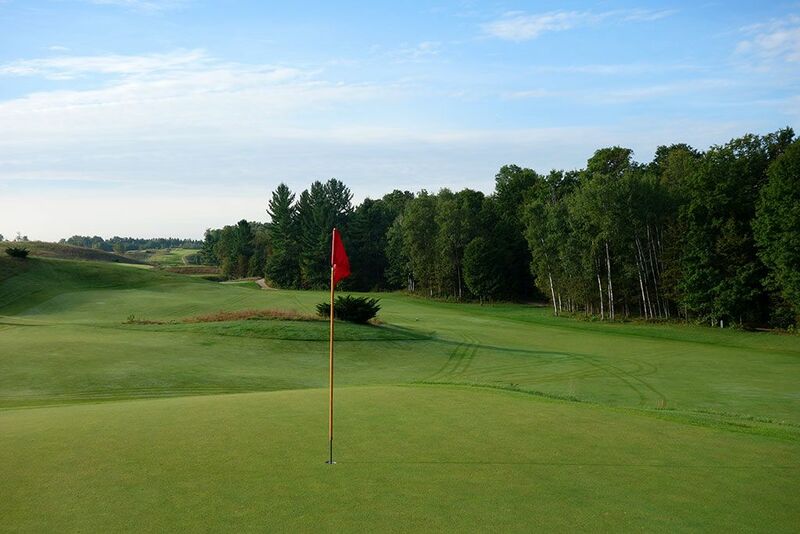 The ridge that bisects the green creates two distinct bowls in the putting surface to aim at which also creates some unique putting opportunities when the hole is in the opposite bowl as your ball. 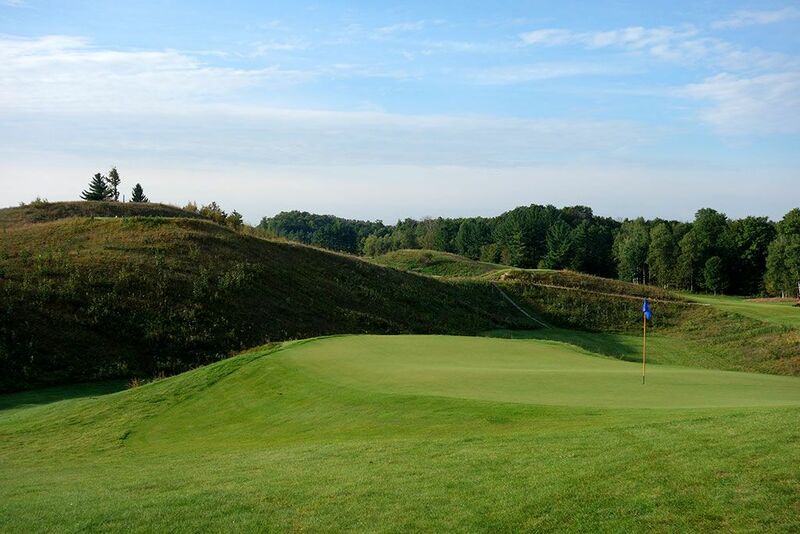 The dramatic downward slope around the green encourages players to take enough club to prevent watching their ball tumble down the hill to an unsavory lie. This hole is a lot of fun and quite a unique way to conclude the opening nine. Best Par 3: 16th Hole – 225 Yards – A classic Redan offering with an even more dramatic slope off the right side then virtually any other version of this hole design that you've seen before. The extra generous right side is a welcome target considering the hole tips out at 225 yards and will require a pretty good poke to reach. If your ball ends up in the deep bunker on the left side you can use the backstop to help feed the ball to some pin placements. This is just a flat out fun hole to play. 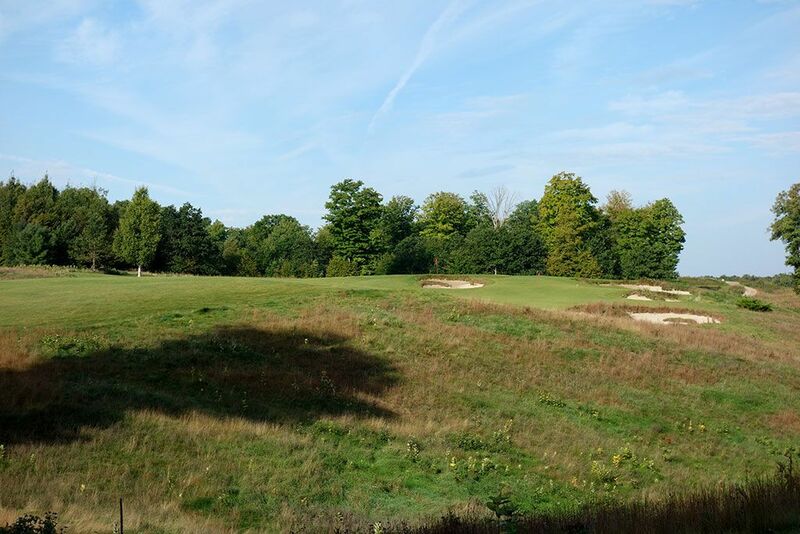 Best Par 4: 8th Hole – 360 Yards – The short par four 8th is an attractive hole featuring a pair of bunker complexes up the right side and framed by trees on the left side. It takes about 200 yards to clear the first set of bunkers and nearly 300 yards to clear the second set from the back tee. Taking the risky play over the bunkers will open up the most receptive angle to the green while playing from the left side of the hole will require an approach shot that successfully carries the large greenside bunker. The combination of fescue, bunkering, and the trees framing the fairway as it carves through the valley is an impressive visual. 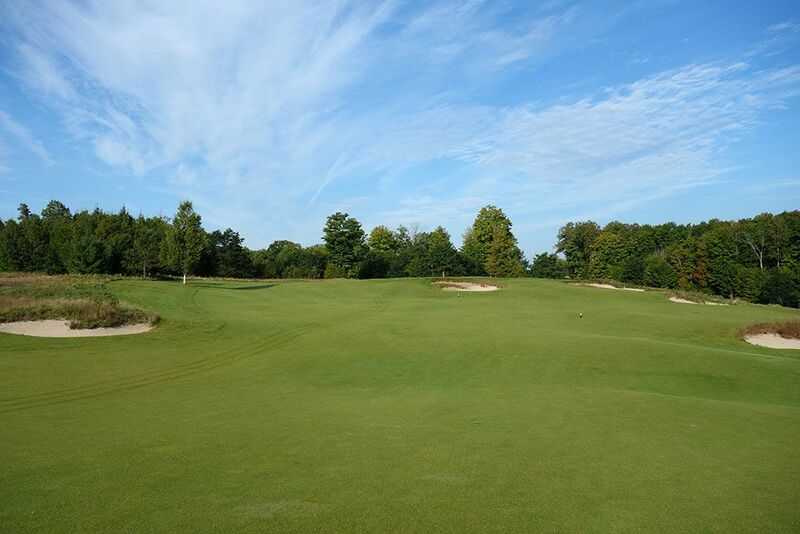 Best Par 5: 7th Hole – 569 Yards – This hole has a lot going on both visually and architecturally. Rolling fescue hills frame the right side of the hole while the fairway slopes hard towards the forest framing the left side. From the tips, the widest part of the fairway rests 215 yards out before tightening to a mere 13 yards in the 250 - 300 yard landing zone. The downhill tee shot and risk/reward landing zones presents an interesting decision off the tee. The fairway opens back up for the remainder of the hole as the fairway gently climbs back uphill to a tiered greensite set into a hill and protected by four bunkers. 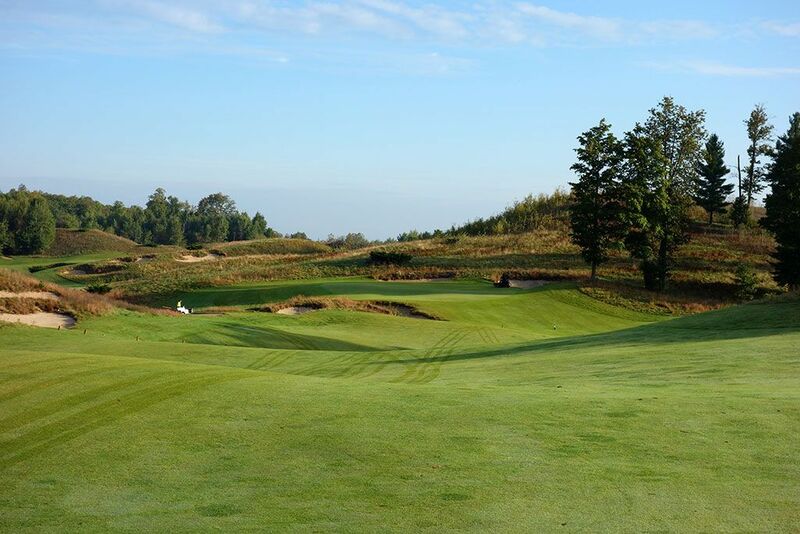 The unique contours, visuals, and strategies of the hole make it a brilliant challenge to contend every time around Kingsley. Birdie Time: 13th Hole – 292 Yard Par 4 – Players should be licking their chops as they tee it up on the sub-300 yard par four 13th that is just begging to be birdied. Interestingly, not only is this the shortest par four on the course but it also features the largest green though it also presents the wildest ride. The right side of the hole slopes down towards #12 while the left side features a large fairway landing area. A half dozen bunkers come into play around the 60 yard deep green that features a deep bowl in the center-right portion of the green and a steep falloff from the left side of the green. The wild green presents some dicey situations for players struggling with their short game, but confident players have a great chance of walking away with a three. Bogey Beware: 15th Hole – 465 Yard Par 4 – Carding a par here is one daunting task! The hole bends to the left while the fairway slopes right trees sitting in the rough on both sides of the landing zone. Players hitting their tees shots to the right side of the hole my find themselves blocked out from the green unless they manage to play a monster fade into the putting surface. The raised green is the smallest on the course which adds teeth to the hole and the fall-offs on all sides demands precision. If you manage to leave your ball in the rear bunker then you have your work cut out for you as your stare bogey straight in the face. More pars will be made from one-putts after a greenside chip rather than players reaching the green in regulation.